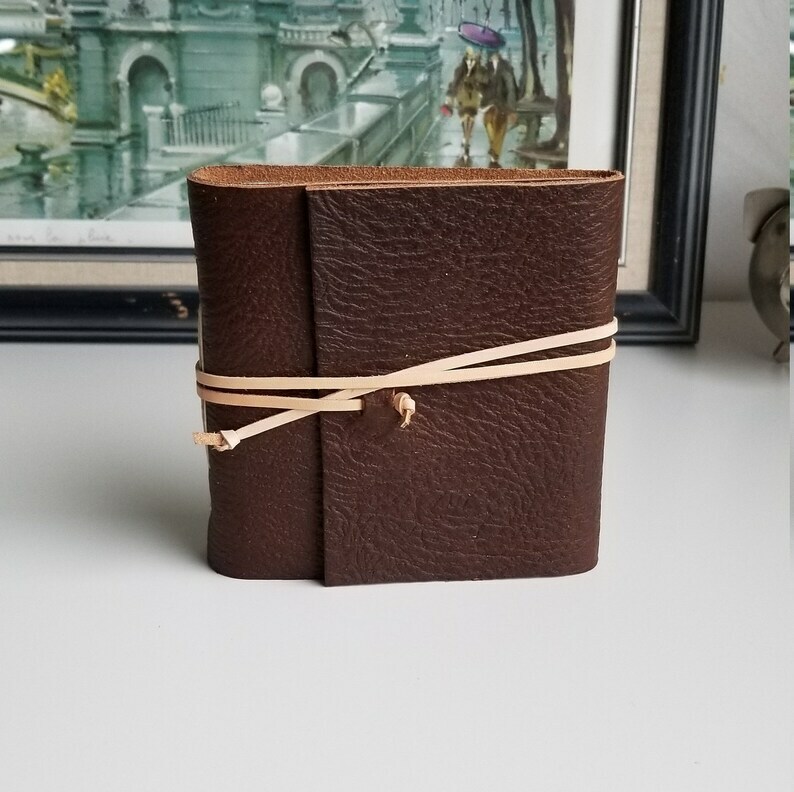 This leather journal has been lovingly handmade by me. It is a wonderful way for the writer or artist to jot down notes, sketches, ideas, and more! 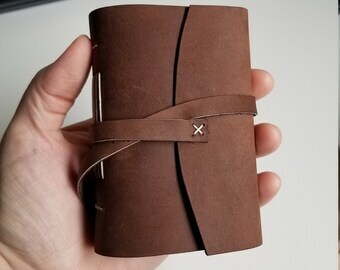 ~ reinforced long stitch binding, with a twist! ~ approximately 4.5" x 4.5" x 1"
~ it may even fit in your pocket, depending on the size of the pocket!